Some newspapers in India such as “Times of India” reported the picture book donation ceremony in Mumbai. On June 13th, TV news program “Wake Up! plus”, produced by Yomiuri Telecasting, reported our exchange activities in Indonesia. TVRI (Television of Indonesian Republic) reported our exchange activities in Indonesia. On April 11th and 12th, TVRI (Television of Indonesian Republic) reported our exchange activities at the school in Indonesia on their Education Program. “The Daily Jakarta Shimbun” reported the futsal friendly matches and workshops in Jakarta. On April 13, 2015, “The Daily Jakarta Shimbun” reported the futsal friendly matches and workshops at local schools. On February 12th “yomiuri Shimbun” evening edition was published an article about futsal friendly match planned in Indonesia in April this year. Japanese informational magazine “WEDGE” reported the picture book donation for the education assistance in Indonesia. 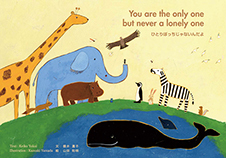 A message from the president Keiko Yokoi to children in Mexico contributed to “Amigo-kai Dayori”, a Mexican journal which is published by Mexico-Japan association. “The daily Jakarta Shimbun”, a newspaper of Jakarta reported the picture book donation ceremony at the University Darma Persada “The daily Jakarta Shimbun”, a newspaper of Jakarta reported the picture book donation ceremony at the University Darma Persada in East Jakarta. The Myanmar Times (in Burmese and English) reported the picture book donation ceremony in Yangon City, Myanmar. “My new dream is filled with hope in Mexico for the first time in 33 years”- President Keiko Yokoi was interviewed by “NICHI-BOKU”, a Mexican association magazine. President Keiko Yokoi was interviewed by KDDI (Japanese telecommunications operator)’s online magazine “TIME&SPACE”, which picks up remarkable or leading people in various fields.